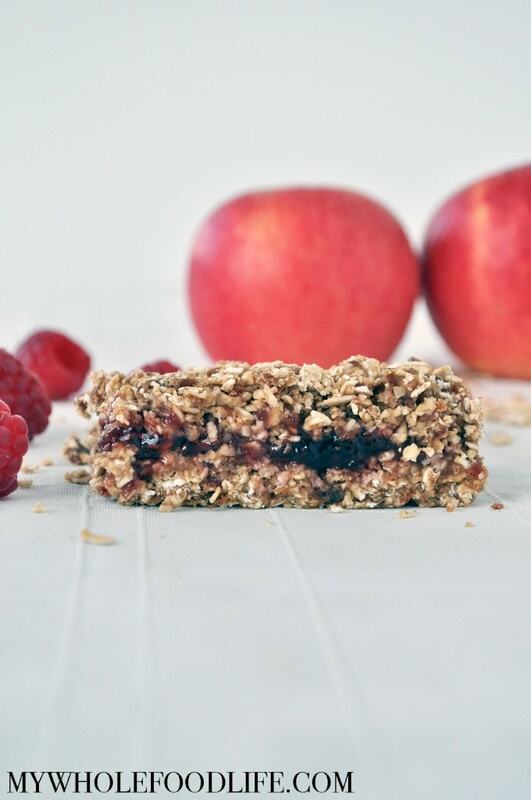 Only a few simple ingredients to make these healthy bars! 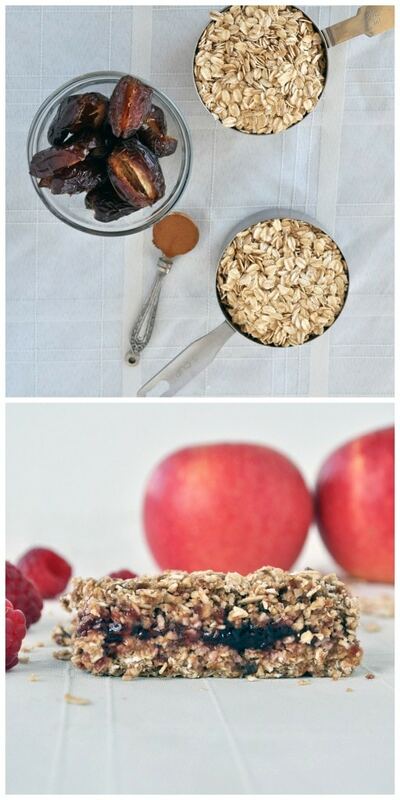 In a food processor , add the oats, cinnamon and a pinch of salt. Pulse a few times. Then add the dates and pulse another few times. Add some water, 1 tablespoon at a time, until the dough starts to come together. Press 1/2 the filling into the bottom of the pan. Press down hard with your palms so it packs tight. Spread some jam over the mixture. Make sure you leave about 1/2 inch around the border. Lastly, pack the remaining mixture on top of the jam layer. Pack this layer down tight as well. Place in the fridge to firm up. Only a few minutes. Use a pizza cutter to cut into bars and store in an airtight container. These should last a few weeks in the fridge. Whipping up a batch right now. I can already tell they will be delicious! I just made these! Delicious and soooo much better than anything you can buy!! Thank you! Yay! You are so welcome Debra! I made these as described but it didn't make enough dough to do two layers in an 8x8 pan ...they are super yummy but mine are more like a thin square with jam on top! I'm sorry that happened to you. :( Mine barely filled the 8x8 pan and they were thin as well. Almost the thickness of a regular nutirgrain bar. Glad you liked the taste! Oooh... these look super yummy!!! And so easy!!!! I'm going to have to have a go at making these ASAP!!!! These were delicious and so much better than a nutrigrain bar. Thank you!